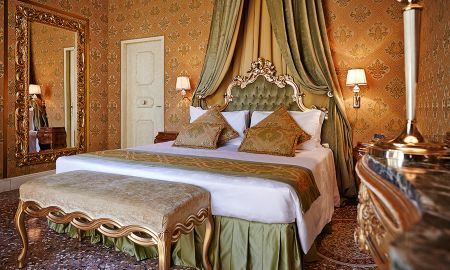 Located in the timeless, romantic city of Venice, Palazzo Paruta is an elegantly refined 4-star boutique hotel housed in a beautifully restored former noble residence dating back to the 17th century. 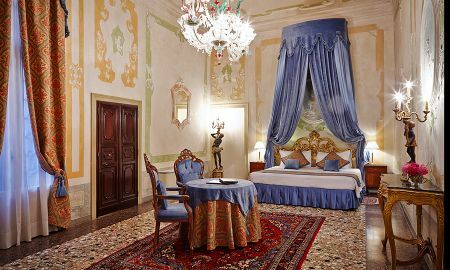 Palazzo Paruta is equipped with impeccable accommodation and provides superior customer service. Its luxurious interiors boast a captivating scent of flowers coming from the wonderful internal courtyard and the exclusive terrace. Guests can start the day with a delicious breakfast, full of fresh seasonal produce and dishes that interpret the local culinary traditions. 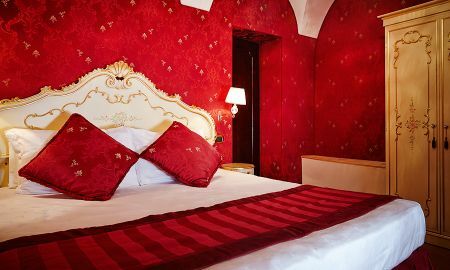 Then, head out to explore the Venetian sights, as the Palazzo Paruta is ideally situated just a short walk from Saint Mark’s Square. 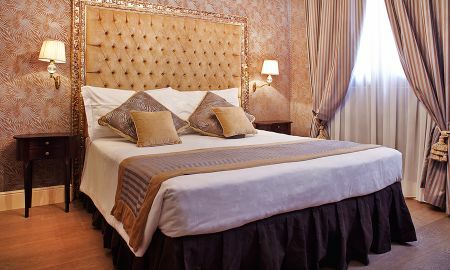 Situated in the quiet area of the district of Campo Sant'Angelo, Palazzo Paruta is very near to La Fenice Theatre and Canal Grande, the city's main navigation route. Beyond La Fenice Theatre and the luxurious shops scarred over Via XXII Marzo, Saint Mark's Square boasts the beauty of its basilica, the Procuratie and the bell tower. 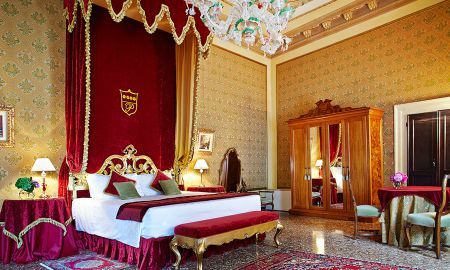 Moreover, the Ducal Palace is also a great example of the Venetian gothic style. By strolling along Mercerie, you can also find lots of design shops leading to Rialto, the historical marketplace characterised by its famous bridge. The following apartments are only 50 meters from the Hotel. Room only. Check-in and check out directly at the hotel. No smoking. Supplement for additional pax € 40 per person per night.